Is this going to be your first Christmas in France? Here’s an idea of what to expect, and even what not to expect, during the Festive Season. Christmas markets are a long-standing tradition, with many of France’s most popular located in the east, close to the borders of Belgium, Luxembourg and Germany. Usually starting in the first week of December, they sell everything from Christmas decorations to presents, traditional foodstuffs and glasses of mulled wine. Some will have ice rinks and children’s entertainment, and they’re usually a pretty good place to find Father Christmas, or Père Noël. There is a list of some of the biggest at the end of this article. Something not to expect in the run up to Christmas, however, is the exchange of Christmas cards – if anything, New Year’s greeting cards are more usual. Father Christmas, or Père Noël, however, does accept letters and cards by post, and a law created in 1962 stipulates that any letter to Santa will receive a postcard in return. In northern France, Père Noël might appear in town centres and at Christmas markets accompanied by a sinister-looking character dressed in black, called Père Fouettard. He carries a whip with which to spank, or at least threaten to spank, naughty children. His story is said to date back to 1150, when an innkeeper robbed and murdered three wealthy children. His crime was discovered by Saint Nicholas, who brought the children back to life. The innkeeper repented and became the saint’s partner, although in a second version of the story, his new role was considered punishment for his wicked deed. In Eastern France, Père Noël has a rival in the form of Tante Arie, a good fairy who is always accompanied by her donkey, Marion. She gives all good children sweets and presents, and the naughty ones a bunch of twigs. Nativity scenes are very popular, particularly in Provence, where markets sell clay figurines called santons, or little saints, to add to the background. These go far beyond the traditional manger characters, but instead represent an ideal Provençal village, with characters such as the butcher, baker, shepherd, fish-monger, vegetable seller, priest and even local dignitaries. Santons date back to the French Revolution, where they were a discreet way of maintaining religious traditions, despite the closing of churches and banning of nativity scenes. Every year, Marseille hosts a large Foire aux Santons, or Little Saint Fair. In 1605, the sapin, or fir tree, was first presented as a holy tree of Christmas in Strasbourg. Decorated in flowers, fruit and models of saints and angels, it symbolised the tree in the Garden of Eden. Today, decorated trees are as popular a symbol of Christmas in France as they are in the UK. Rather than hanging stockings for Père Noël to fill, French children used to place their sabots, or clogs, by the fire to be filled with Christmas treats such as sweets, fruit, nuts and small toys. Nowadays sabots have been replaced with modern footwear – even trainers are allowed! France traditionally celebrates Christmas on the evening of the 24th, called Le Reveillon. In Western France, neighbours will gather around a giant fire called the Hailhe de Nadau, and share nibbles and drinks, quite possibly Vin Chaud, or spicy mulled wine. Sometimes the main Christmas meal starts only after Midnight Mass, yet for more practical reasons, some families are now choosing to celebrate with lunch on the 25th. Whichever date is chosen, you can count on one thing – the meal will be very special and particular attention will be paid to the table dressing, with attractive decorations, fine glassware and beautiful linen. As for the food, typically, it’s a pretty sophisticated affair, during which champagne is drunk, and you can expect to find all kinds of smoked salmon, oysters, scallops and foie gras dishes among the nibbles or starters. Naturally, different regions have their own culinary traditions as far as the main course goes – in Alsace, for example, they enjoy a roast goose, while in Burgundy it’s a chestnut-stuffed turkey. Alternatives include quails, pheasant, venison or ‘boeuf en croute’, or beef in a pastry crust. Don’t expect to find fruit cake or mince pies on the French Christmas table, but you will find Pain d’Epices, or spicy gingerbread, in many shapes and guises, either sprinkled with icing sugar or covered in rich dark chocolate. For dessert, there is the classic chocolate yule log, known as the Bûche de Noël, which is steeped in tradition. It’s said that on the shortest day of the year, people would search for a large wooden log to burn. This was both a symbol of the rebirth of the sun, and an offering of thanks. During the Middle Ages, they started decorating the log with ribbons and greenery, and it would be carried to the hearth by both the youngest and the oldest member of each family. Once lit, the log would burn through the night. The following morning its ashes would be collected, in the belief that they would protect the house from storms, lightning and even the evil powers of the devil. With the arrival of small stoves rather than large hearths, the tradition wore off, and the log was replaced by a smaller tree branch, which was placed in the middle of the table and surrounded by friandises, or sweets and delicacies, that were then given to guests. From there, the choclate yule log, or Bûche de Noël, was created, first written about in 1879. While main courses may change, this dessert is enjoyed throughout France. Today it can be found in many guises: with a sweet chestnut filling, or as a pain d’epices, or spicy gingerbread; it can be made as a vanilla ice-cream cake with red fruits, or with figs, or with dark chocolate and raisins – there are countless interpretations, but the shape is always that of a log. In Provence, traditionally there are the thirteen desserts of Provence, that symbolise Jesus and the twelve apostles. Initially there were just four, to represent the religious orders in France: Almonds for the Carmelites, figs for the Franciscans, raisins for the Dominicans, and walnuts for the Augustines. Added to these were four plates of fresh fruit: apples, pears, oranges and melons, then nougat, quince jelly, a savoury bread with garlic and sun-dried tomatoes or anchovies, and a platter of dates. Finally, on January 6th, the 12th day Christmas, or the Feast of Ephiphany, the French enjoy a special cake called a Galette des Rois, typically made of almond paste in a light, pastry shell. It is sold with a gold-coloured cardboard crown. Hidden inside the cake is a trinket known as a fève, and whoever finds it in their slice gets to wear the crown, becoming king or queen for the night. 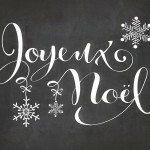 Joyeux Noël to you all! This is the largest of all the Christmas markets in Paris, with around 350 stalls full of festive decorations, gift ideas and tasty treats. 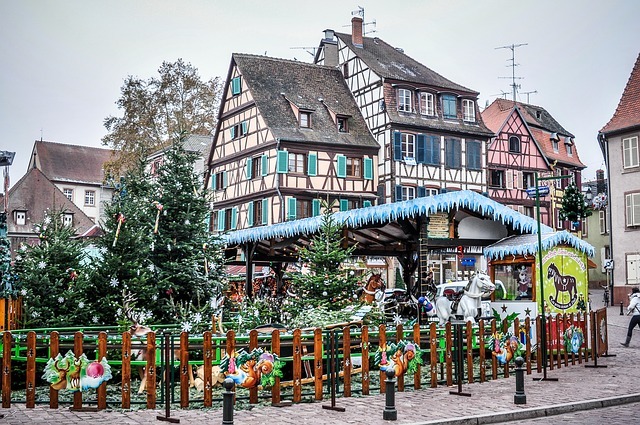 This Christmas market is known for its local produce, including macaroons and tuiles amienoises, or almond biscuits, as well as glassware, soaps and angora knitwear. Every night there is a spectacular son et lumière (sound and light) show projected onto the town’s Gothic cathedral. 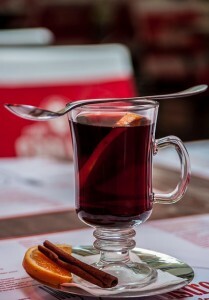 Around ninety stalls are set up in the Grand Place, serving mulled wine, hot chocolate and Flemish waffles – a local speciality. There are musical events and street performances from fire-eaters and jugglers, as well as a daily visit from Père Noël. This popular Christmas market has over 150 stalls, selling gift ideas, mulled wine and Christmas treats from all over the world. One of the prettiest Christmas markets, thanks to its medieval Alsace architecture and annual decorations competition. The children’s market in Petite Venise has stalls that sell handcrafted toys, and there’s a giant letter box for posting a wish-list to Père Noël. The Fête de la Dinde, or turkey fair, is a Christmas food market that includes a parade of live turkeys through the town centre, allowing customers to choose their very own Christmas dinner over a glass of the local liqueur, Licquoise. This is one of France’s most popular Christmas markets, attracting 900,000 visitors every year. Almost 100 stalls in the central Place Rihour sell traditional delicacies like Maroilles cheese, chicory pâté and babeluttes, or soft caramels. In the nearby Grand Place, a 50-metre-high ferris wheel offers fantastic views over the city’s Flemish-Renaissance architecture, festooned with sparkling Christmas fairy lights. The Foire aux Santons takes place from mid November every year, with stalls selling handcrafted, traditional figurines, from nativity characters to those wearing traditional Provençal costumes. There are also demonstrations, live music, and traditional folk dancing. Another most visited Christmas market, six of the city’s squares are filled with stalls, and there are traditional treats like the merry-go-round and a walk through a magical forest. This picturesque city hosts one of the country’s most stunning Christmas markets, offering handmade, traditional products, a festive light display and even an ice rink. Here, there is a celebrated tradition of étoffes, or textiles, and every Christmas a new festive cloth is created to decorate the market. Stalls and chalets are filled with crafts from Mulhouse as well as traditional Swiss and Vosgien gifts. More than a market, Nice’s annual Village de Noël has stalls, igloos, a nativity scene, children’s entertainment and an ice rink, and is known for its stunning Christmas lights. This Christmas market is lively with winter sports on the dry ski slope, as well as street performances from carollers, jazz bands, jugglers and organ grinders. Wooden chalets sell local crafts and delicacies from the region, including, of course, champagne. Officially one of France’s most beautiful villages, with a fairytale atmosphere from its medieval cobbled streets, here you’ll find tasting sessions, concerts, exhibitions and delicious food. The Gothic cathedral provides the perfect backdrop, and stalls sell mulled wine, local specialities and other typical Christmas goodies. There is also a skating rink. Dating back to the 16th century, this is the oldest Christmas market in France, and one of the largest in Europe. Set in the Place de la Cathédrale, in the heart of the medieval old town, it offers some three hundred stalls selling all kinds of goodies and decorations.